The life-threatening infections caused by Leptospira serovars remain a global challenge since long time. Prevention of infection by controlling environmental factors being difficult to practice in developing countries, there is a need for designing potent anti-leptospirosis drugs. ATP-dependent MurD involved in biosynthesis of peptidoglycan was identified as common drug target among pathogenic Leptospira serovars through subtractive genomic approach. 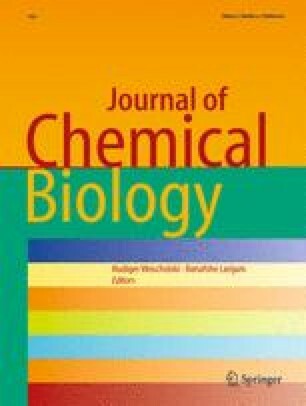 Peptidoglycan biosynthesis pathway being unique to bacteria and absent in host represents promising target for antimicrobial drug discovery. Thus, MurD 3D models were generated using crystal structures of 1EEH and 2JFF as templates in Modeller9v7. Structural refinement and energy minimization of the model was carried out in Maestro 9.0 applying OPLS-AA 2001 force field and was evaluated through Procheck, ProSA, PROQ, and Profile 3D. The active site residues were confirmed from the models in complex with substrate and inhibitor. Four published MurD inhibitors (two phosphinics, one sulfonamide, and one benzene 1,3-dicarbixylic acid derivative) were queried against more than one million entries of Ligand.Info Meta-Database to generate in-house library of 1,496 MurD inhibitor analogs. Our approach of virtual screening of the best-ranked compounds with pharmacokinetics property prediction has provided 17 novel MurD inhibitors for developing anti-leptospirosis drug targeting peptidoglycan biosynthesis pathway. The study was supported by grants from DBT, Ministry of Science and Technology, Government of India, New Delhi. We are grateful to Dr. B. Vengamma, Director, for providing constant support and encouragement for research at SVIMS Bioinformatics Centre, where this work has been performed. We thank Prof. S. Ramakumar, IISc., Bangalore for rendering critical valuable suggestions on the present work.